John Bates was born in Gatesville, Texas on September 20, 1921. His great grandfather, Jefferson Bates, was an early pioneer in the Gatesville area and member of the masonic lodge there. 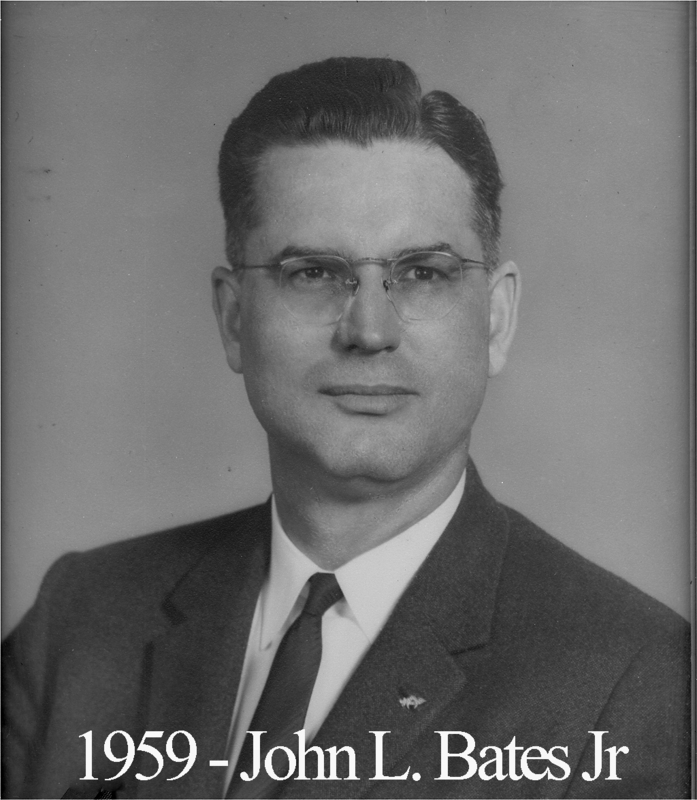 Bates graduated from Mexia High School in 1938 and subsequently enrolled in Baylor University where he received his BBA and LLB in 1947 after having served in World War II. He was later awarded the Juris Doctor Degree from Baylor. During his Baylor years(while another Waco Lodge mason, Pat Neff, was serving as President), he was a member of the Baylor Chamber of Commerce, the Nose (Noze) Brotherhood, the Esquire Club, Baylor Theater, Alpha Psi Omega (a national dramatic fraternity), A cappella Choir, and Forum Law Society. More than all these, John was most happy to meet the love of his life, Dorothy, while both were attending Baylor. She later recalled that it initially took some nudging and prodding from some of her sorority girlfriends but she eventually gave in and gave him a shot. He spent the rest of his life trying to make sure she didn’t regret it. 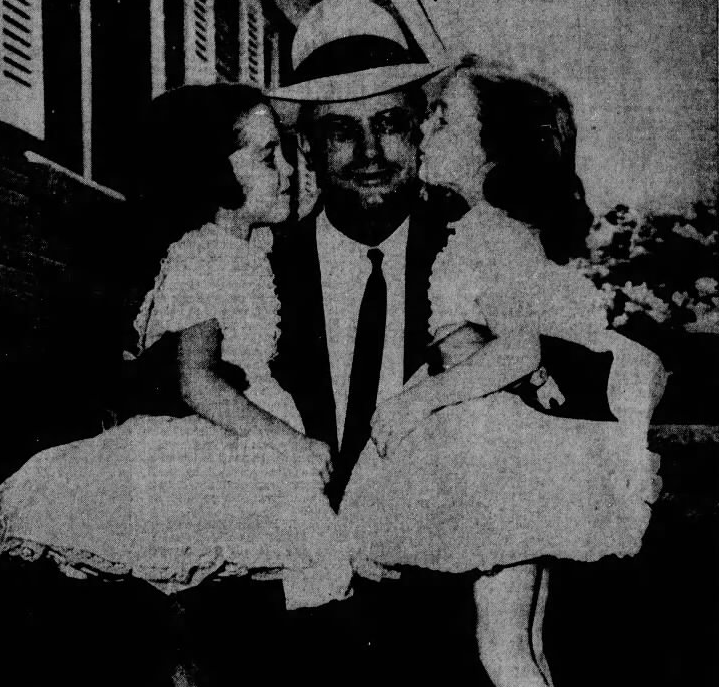 From 1947-1950, he was an instructor of Business Law at Baylor. At the time of his death, he was a member of the Baylor-Waco Foundation and a Life Member of the Baylor Alumni Association. In August, 1942, while in Baylor, he enlisted in the U.S. Army Reserve. In May, 1943, he was called to active duty. Following basic training in Texas, he was deployed to Camp Roberts, California where he attained the rank of staff sergeant. In 1944 he attended Infantry Officer Candidate School at Ft. Benning, Georgia and received a commission as 2nd Lieutenant. He was called into the Counter-Intelligence Corps and was trained at a British Intelligence School in Karachi, India. He was first assigned to the 412th CIC, China, Burma, India, and then to the 415th CIC detachment out of Kunming, China where he became the Special Agent. Later, he was detailed to JAG War Crimes on Formosa where he added the duties of Assistant Judge Advocate to his CIC Special Agent title. He retired from active duty in 1946 to reserve status in Military Intelligence. In 1947, he became a Company Commander of the 36th Texas National Guard Division. While in the Guard he attained the rank of Major and became an Adjutant. In 1962, he transferred to the Army Reserve and remained active until 1976 attaining the rank of Colonel. He remained in the Retired Army Reserve until 1981. He attended and subsequently taught in the Army Command and General Staff School, Logistics Management School, Infantry Career Course, and the Industrial College of the Armed Forces. Among his honors are the Combat Infantryman’s Badge, the Bronze Star, and the Meritorious Service Medal. He was a member of the Reserve Officers Association, the Military Order of the World Wars, The MOAA, the National Counter-Intelligence Corps Association, the VFW, the American Legion, the Central Texas Basha, CBI Veterans, was a member of the Board of Governors of the Association of the U.S. Army (AUSA) Ft. Hood Chapter, and had served as a Civilian Advisor to the III Corps Commander of Ft. Hood. As a young man, John made up his mind that he wanted to accomplish two major goals: 1) become a freemason and 2) pass the bar exam to become an attorney. He achieved both aims, in that order. After having passed the Texas Bar Exam in 1946, he opened his law office in Waco where he remained in practice for fifty-nine years until his death. He was a member of the Waco-McLennan County Bar Association where he served as secretary, a member of Waco Legal Aid where he served as a member of the board, and he held memberships in the State Bar of Texas, the American Bar Association, and the Bar Association of the Fifth Federal Court. He also served as a member of the Military Affairs Committee of the State Board of Texas. He was licensed to practice before all Texas State Courts, the U.S. District Court for the Western District of Texas, the U.S. Tax Court in Washington, D.C., and the U.S. Court of Appeals Fifth Circuit. He was a 60 year member of Waco Masonic Lodge and served Master in 1959. He received the Golden Trowel Award in 1994 and served as District Deputy Grand Master of the Masonic Grand Lodge of Texas. He was active in the Waco York Rite Bodies, Waco Scottish Rite, the Demolay, and a member of Karem Shrine. He was the recipient of the Scottish Rite 33rd degree. He was active in the masonic play “The Traitor”, playing the parts of both Lafayette and Benedict Arnold. He was a member of the R. E. “Bob” Scott Chapter of the National Sojourners and a member of the Heroes of ’76. Leadership positions in civic organizations include vice president of the Texas Jaycees, National Director from Texas to the National Jaycees, President of the Waco-McLennan County Society for Mental Health, Grand Chancellor Commander of the Knights of Pythias, Board Member of the Waco Civic Theater where he appeared in numerous productions. He was a Patron of the Waco Symphony Association, the Art Center, the Waco Founders Lions Club, the Waco Chamber of Commerce, Waco Historic Foundation, and worked as a volunteer with SCORE. In 1982, 1984, and 1986, he ran as the Republican candidate for the Texas Supreme Court, losing each time by narrow margins. He was a member of Ridgewood Country Club where he spent many enjoyable hours playing gin rummy, golf, and bridge. Mr. Bates was a long time member of the Frank Wilson Sunday School Class and an active member of Columbus Avenue Baptist Church.